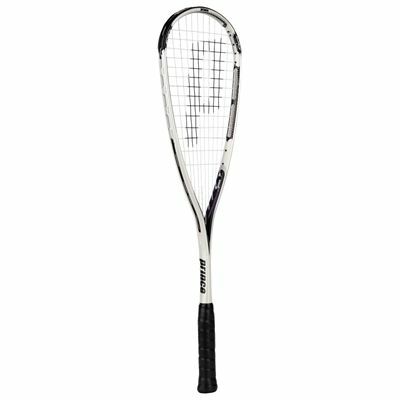 The Prince EXO3 Warrior squash racket features the EXO3 technology that provides bigger and more functional sweat spot. It also results in more consistent response, power and better hitting feel. This head heavy racket weighs only 140g (4.9oz) and comes with large 71.9in2 (464 cm2) head size, as well as 10 x 14 string pattern – all of which ensure power on every shot. Additionally, unique extender design of the racket provides larger sweet spot size for performance. for submitting product review about Prince EXO3 Warrior Squash Racket.